What is Cloud Computing or Software as a Service? Cloud computing or Software as a service (SaaS) is a way of delivering applications over the Internet, as a service. Instead of installing and maintaining software, you simply access it via the Internet, freeing yourself from complex software and hardware management. SaaS applications are sometimes called Web-based software, on-demand software, hosted software or software in the cloud. Whatever the name, SaaS applications run on a SaaS provider’s servers. The provider manages access to the application, including security, availability, and performance. An excellent example of software that utilises the SaaS model is internet banking offered by banks. Internet banking protects the privacy of each customer while providing an online service that is reliable and secure, on a massive scale. Customers are able to add beneficiaries, draw statements and pay accounts using the same financial systems and technology without worrying about anyone accessing their personal information without authorisation. As a Cloud provider, PaySpace owns and maintains all of our own software which means PaySpace costs less, because you don’t need to pay for all the people, products, and facilities to run our software. PaySpace is more scalable, more secure, and more reliable than most on-premise applications. Plus, upgrades are taken care of for you, so you get security and performance enhancements and new features – automatically and free of charge. PaySpace is powered by a multi-tenant architecture, in which all users and applications share a single, common infrastructure and code base but is logically unique for each customer. Service – Having to monitor and administer just one platform (instead of managing different sets of technology stacks for each client), a multi-tenant SaaS provider can deliver more efficient and effective service and support, including troubleshooting and problem resolution. Upgrades – Upgrading the software version or elements in the technology stack (such as databases, servers, and the operating system) is easier since there is a single, centralized place to go to make adjustments, install patches, etc. Accountability – SaaS service provider’s have a more vested interest in making sure everything runs smoothly and it helps the service provider apply lessons learned into the operating procedures and improve the service quality. Think about it this way, in a single-tenant environment, if a server goes down, only one client is impacted. But, in a multi-tenant architecture, each and every customer will be affected by even the slightest technology glitch. Therefore, providers must take extra measures to ensure uptime, continuity, and performance and constantly deliver improvement opportunities to their business. We know that downtime is not an option in your business. This is one reason that we guarantee 99.5% uptime across all areas of PaySpace as part of our standard terms of service. PaySpace is the only on-demand service with this kind of guarantee. 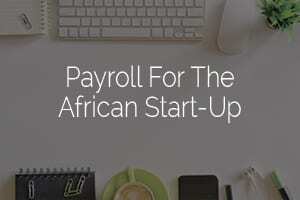 Process your weekly and monthly payrolls, generate payslips and tax certificates in the African country of your choice. Our payroll specialists have the know-how and expertise to guide your business with the local service you require and the advanced technology you need to manage and grow your payroll.